Linda holds the recently published book in the Images of America series by Arcadia Publishing : Weed. 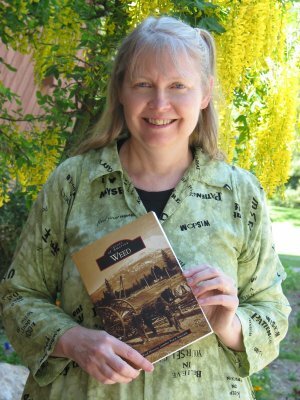 The book was published through the Weed Historic Lumber Town Museum of which she is a board member. Currently she is working on a thesis on the jobs, neighborhoods, and people of Weed, California circa 1930.